Major press announcement planned, Skype integration due? Will Facebook announce voice-calls in partnership with Skype? Following leaked images online that suggested that a Facebook voice calling service is imminent, the social network has invited press to attend an event next Monday at which it is planning to make a 'major announcement'. Rumours that this might finally be an official announcement relating to a partnership between Skype and Facebook – which we originally reported on back in September 2010 – are flying around. A number of Facebook users have already flagged the fact that there appears to be a new "call" button that shows up when viewing other people's profiles, hence the reason why voice-calling via Facebook seems a likely announcement to expect next week. TechRadar has contacted both Skype and Facebook and been quickly served with 'no comments' on these rumours. 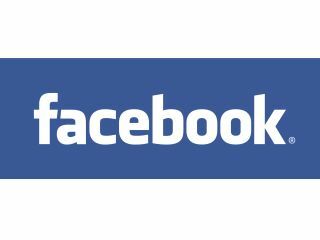 A Facebook spokesperson told us: "We don't comment on rumor and speculation and have nothing to announce at this time." Either way, something big and potentially interesting is brewing in the Facebook camp, whether or not it turns out to be voice-calls or a Skype partnership (involving some form of Skype integration into Facebook Chat). Will voice-calls be the latest addiction to Zuckerberg's plans to turn Facebook into a "modern messaging system"? TechRadar will of course be at the announcement next Monday to bring you all the news as it breaks.